Google Wave – need invites? Look like I am again late about Google Wave. May be the reason is there are lesser known people inside and not many online on wave to talk to for the same reason. People like me might not be logging into their Google wave account just because they feel that they might get disappointed again by not getting more names in their friend list. After logging into it today, I found the situation been changed a little. Google wave has been opened up more. 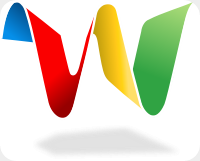 Anyone, who is yet out of luck with Google Wave Account could get it from me by making a nice critic comment here on this post. Obviously, not everyone will get invites, but I have 24 invites in my bag to give out. May be your words get lucky.